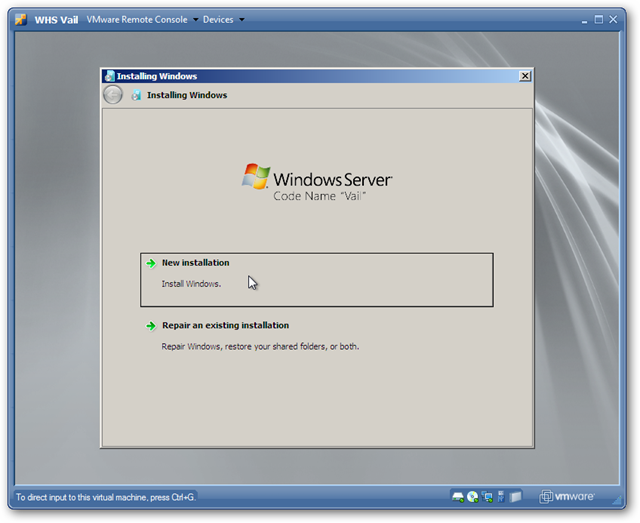 If you’re a Windows Home Server enthusiast, you’re more than likely aware of the new Beta code named “Vail”. If you want to test it out without worrying about having an extra machine, we can install and use it free in VMware Server. 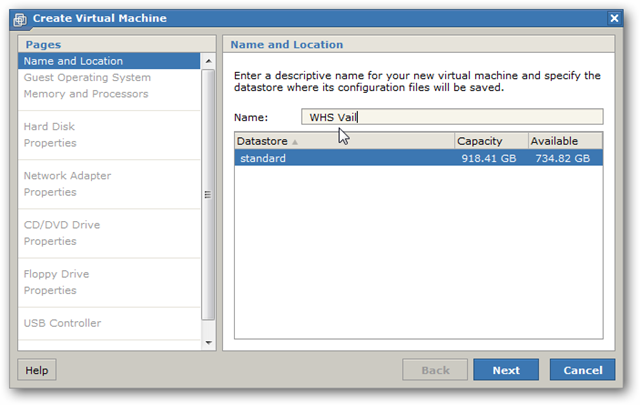 Previously we showed you how to install WHS Vail on VMware Workstation. 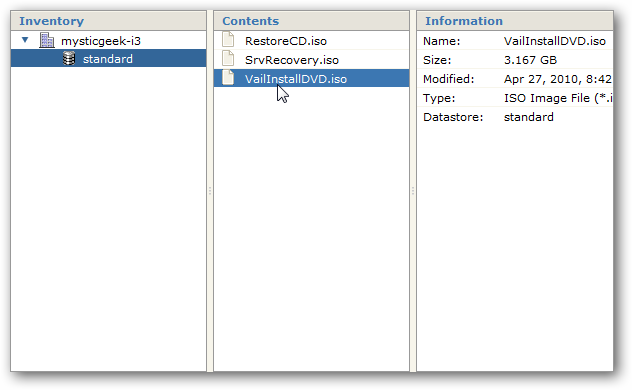 Today we’ll take a look at how to install it completely free using VMware Server 2 and the free Vail Beta ISO. You’ll need the following items to get started. 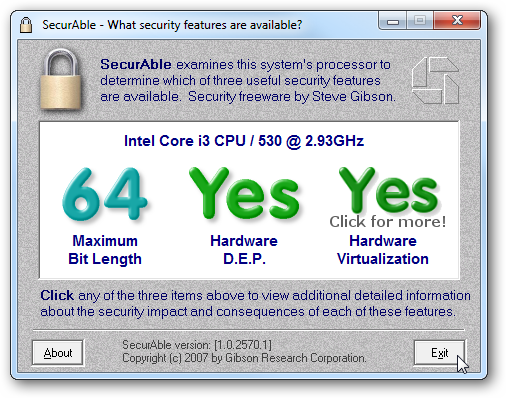 In our last article we showed you the easy to use free utility SecurAble to determine if your computer is capable of Hardware Virtualization. 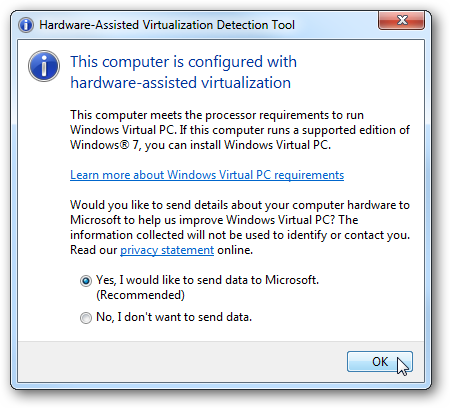 There is also another free utility from Microsoft that does the same thing called Microsoft Hardware-Assisted Virtualization Detection Tool (link below). 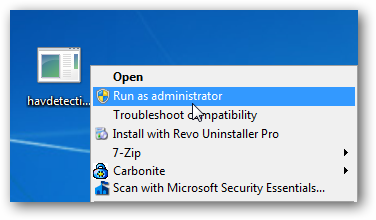 Like SecurAble it doesn’t require installation, just run the executable as Administrator. You’ll be prompted to agree to the EULA and after that you’ll receive a message like the ones below. 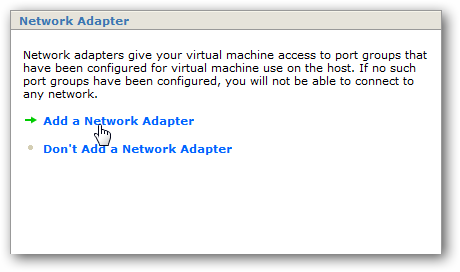 Showing either that you’re machine is capable of Hardware Virtualation or not. If it doesn’t support Hardware Virtualization, a lot of times the feature is locked and you’ll need to carefully dig through your BIOS to find a setting to turn it on. If that doesn’t work, make sure you have the latest update for your BIOS. 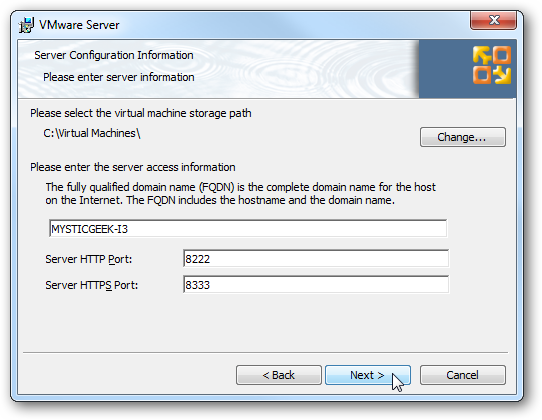 If you don’t already have it, you’ll need to download and install VMware server. It’s free, but registration is required (link below). 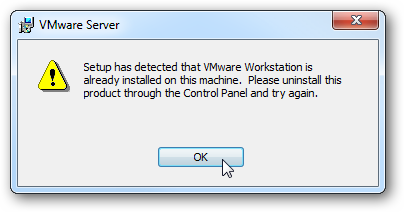 Note: Before you start installation be aware that if you have VMware Workstation already installed, you’ll be prompted to uninstall it first. Once you have the file downloaded, start installation as normal where you should be able to go with the defaults. After you registered they sent an email to activate your license and download the server, from that page enter in the serial number they provided. 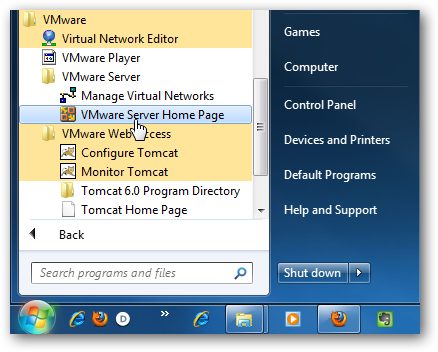 Now you’ll be able to access VMware Server from the Start Menu along with other tools it provides. 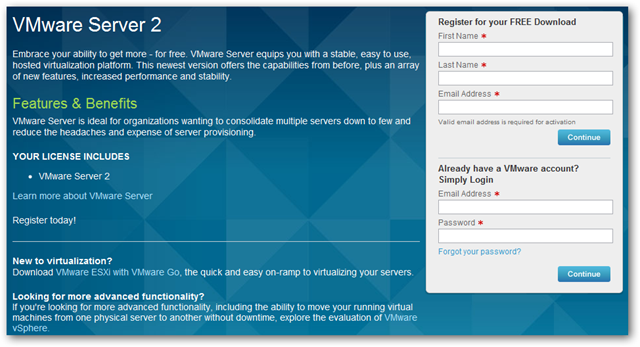 To launch it, click on VMware Server Home Page which will launch locally in your default browser. This next step is pretty important. 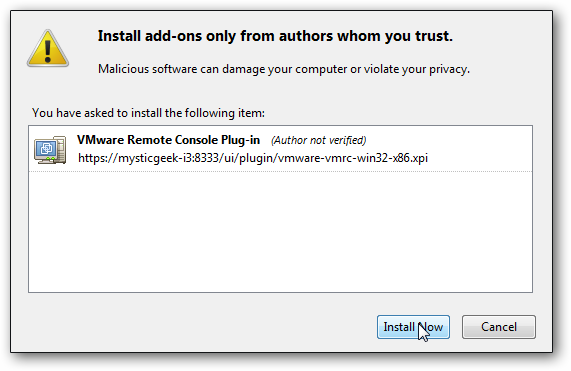 You’ll notice that during the installation you were never asked to enter in user credentials. By default it uses the login information for the machine you’re running it on. 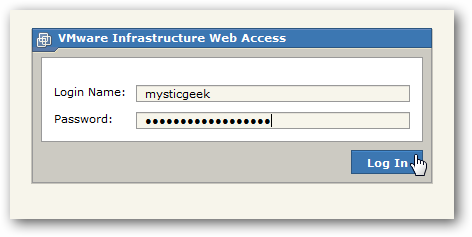 Not your VMware login information. This was a bit confusing at first so, just keep that in mind when you want to log in. Once logged in you will be presented with the summary page. 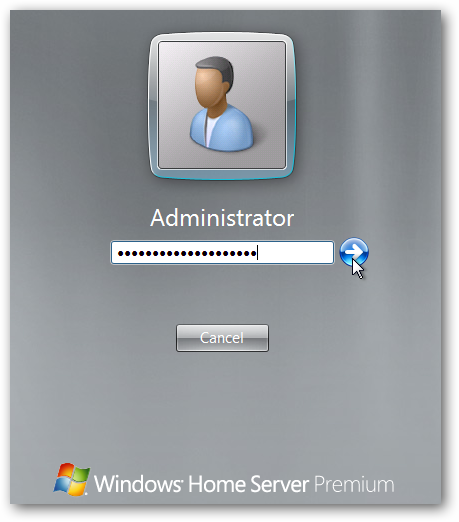 Now we’re ready to install Windows Home Server “Vail”! 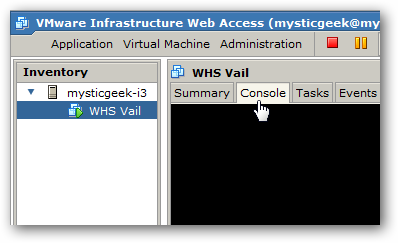 Ok, now that we have VMware server installed and are logged in, we want to create a new virtual machine to run Vail on. 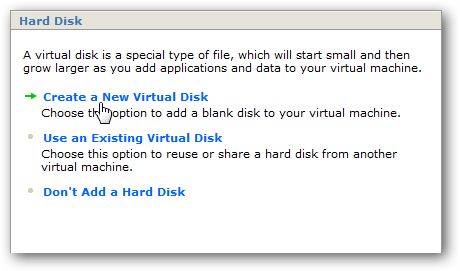 Click on Virtual Machine \ Create Virtual machine. 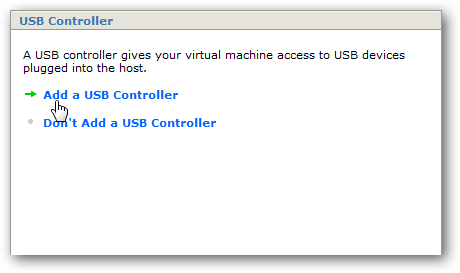 The Create Virtual Machine wizard starts and first you want to give it a name. Next we need to select the Guest Operating System. 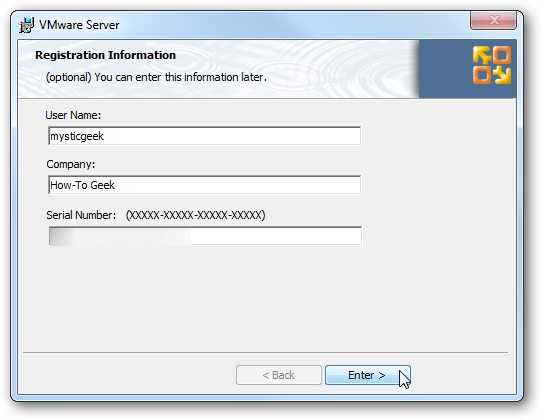 From the Version dropdown field select Microsoft Windows Server 2008 (64-bit). 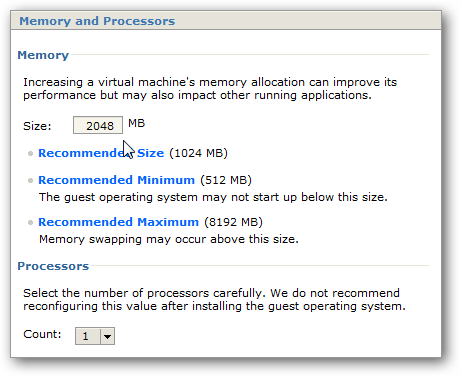 Now select the amount of memory you want the server to use. Remember this will be using your Host’s RAM so depending on how much you have, you might want to go with the Recommended Size of 1GB. Since our machine has extra memory, we bumped it up to 2GB. You can change these settings at any time later after the machine is created too. 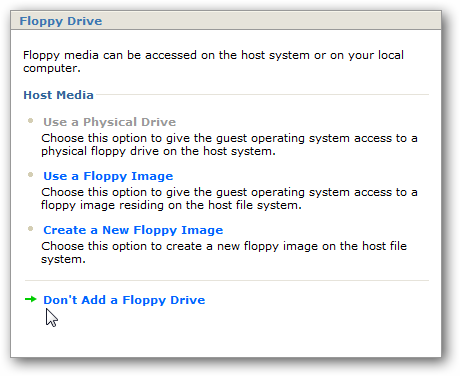 In the next step we need to Create a new Virtual Disk. Now we need to assign its capacity. 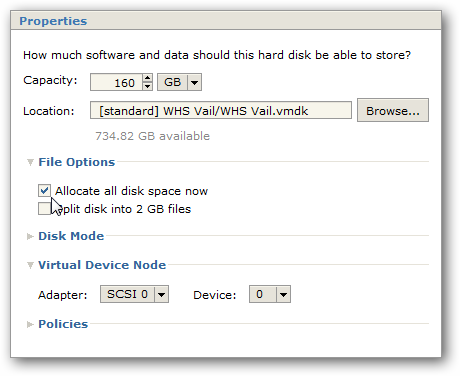 The minimum size for Vail is 160GB so we will just go with that. In our testing we’ve had best result by checking Allocate all disk space now. Under Properties you’ll have best results if you use a Bridged Network Connection. This way the virtual server will be assigned its own IP address and will operate like a separate physical machine on your network. 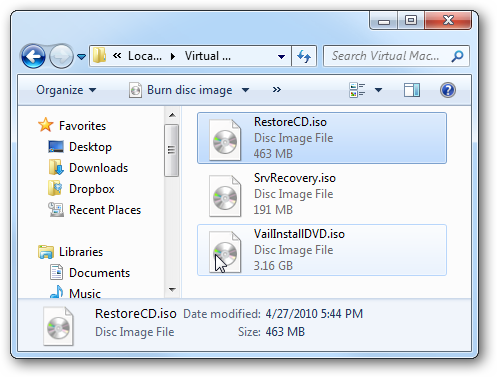 Now you need to copy the Vail Install DVD, Restore CD, and SrvRecovery ISO files to C:\Virtual Machines so VMware server can see it when we go to load it. 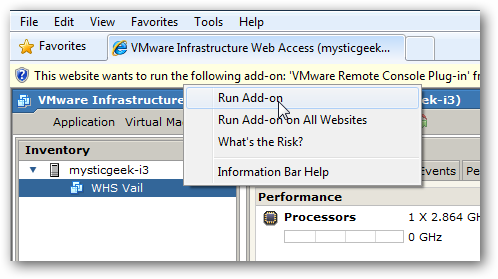 The browse feature in VMware Server doesn’t allow browsing to you local directories like Workstation or Player. 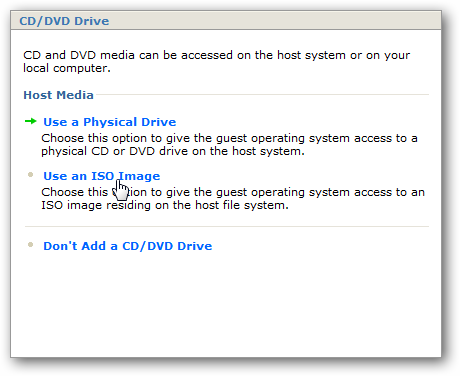 For the CD/DVD Drive select Use an ISO Image (which is the format Vail downloads as). You don’t need to burn it to disc first…unless you want to for some reason. 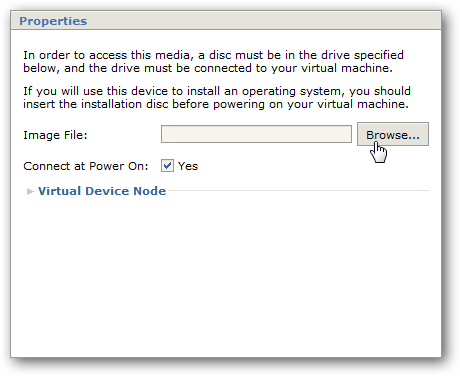 Of course you’ll want to burn it to disc if you were installing it on an actual machine. 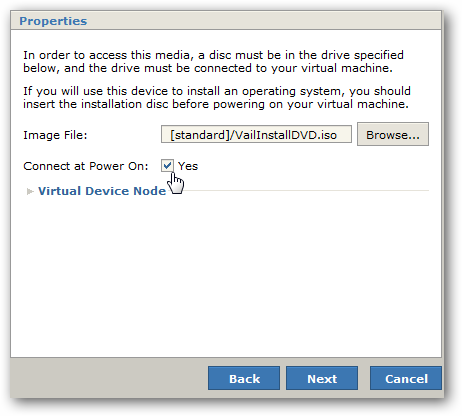 Now we can select VailInstallDVD.iso and click OK.
Then back at the Properties screen make sure to check Yes to Connect at Power On and click Next. For USB Controller you can add support for it or not, it’s up to you. For our testing purposes we’re going to go ahead and click Add a USB Controller. Now we’re done setting up the VM. Check out the overview and verify it’s configured correctly. If not you can go back at this point and make adjustments. You can also add more hardware at this point if you want, but everything is configured now to get Vail installed, so we’ll just keep what we have. Remember we can change the settings after Vail is install as well. 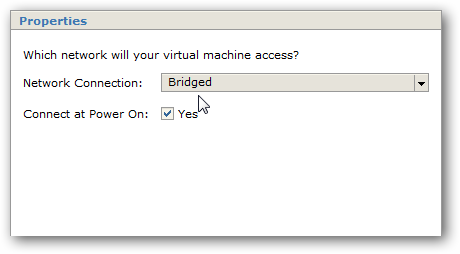 Check Power on your new virtual machine now and click the Finish button. 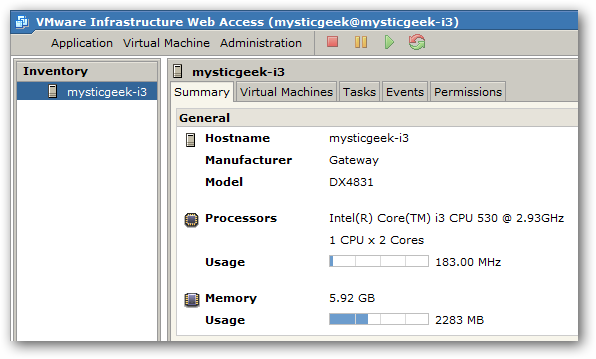 Now wait while your new Virtual Server will be built. The length of time it takes will vary based on the type of hardware your machine has. On our system it took around 30 minutes to create the virtual HD. After the drive has been successfully created and the VM machine powered on, under Inventory click on the Vail VM then the Console tab. 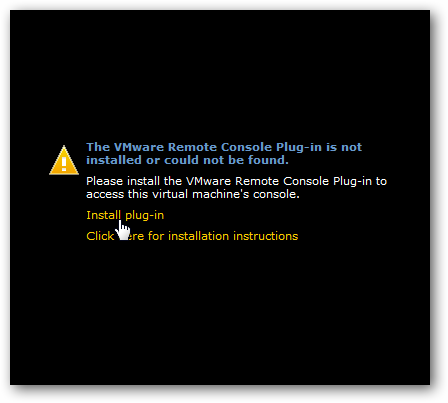 You’ll see a message that you need to install the VMware Remote Console Plug-in…just click to install it. 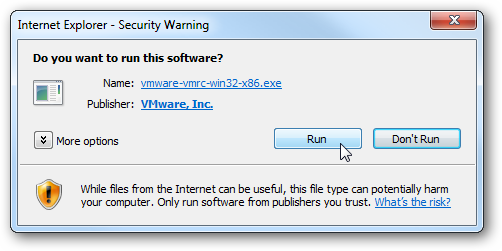 At first we were running VMware server through Firefox, and after installing the plugin we ran into some problems. After installing the Plug-in you need to restart Firefox. When we came back, we weren’t able to launch the console. It probably has something to do with an Addon or some caching issue. We will figure out a fix and post an article about it later. 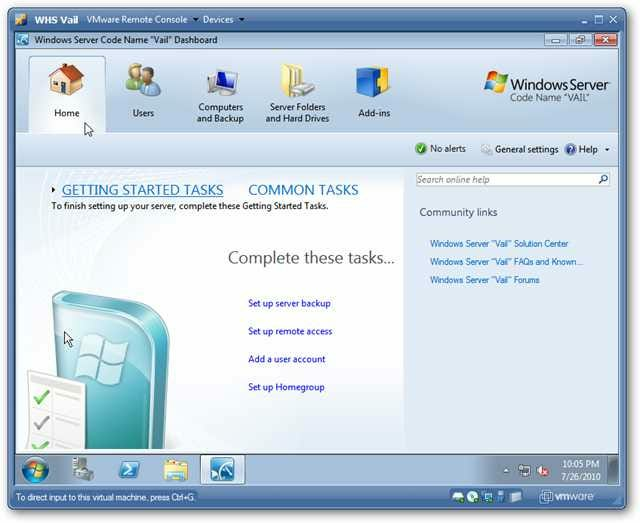 We want to get Vail installed so we ran the VMware Server in Internet Explorer 8 instead. Again, you’ll need to install the Remote Console Plug-in. Installation for IE is straight-forward following the install wizard. 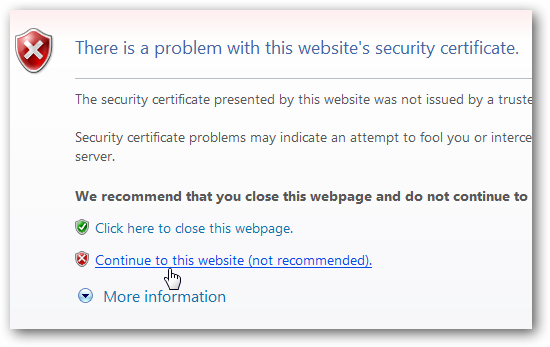 When you first go to your server in IE you’ll get a warning about the security certificate, click Continue to this website. After you log in…select Run Add-on when the security bar shows up to start the Remote Console Plug-in. 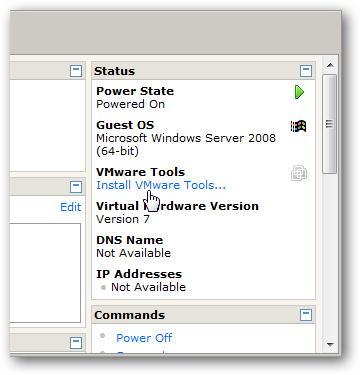 From the VMware Server Web Homepage select the Vail Server and click on the Console tab to open the VMware Remote Console. 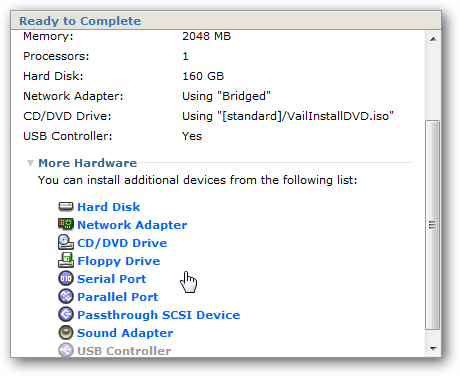 The VMware Remote Console opens up and you can now begin your Vail installation. On our system, installation took around 45 minutes to complete. 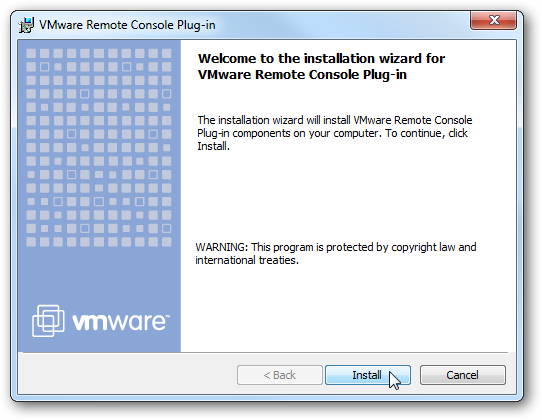 During the install, the Remote Console will restart several times. After a long wait and entering some of the information it asks for during installation, we have our new WHS Vail Virtual Server! 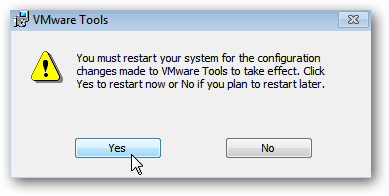 A message explaining VMware Tools will pop up, click the Install button. 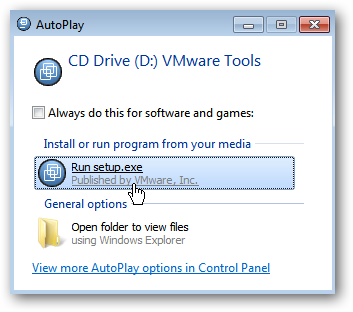 Over in the Remote Console you’ll see AutoPlay pop up…click on Run setup.exe. 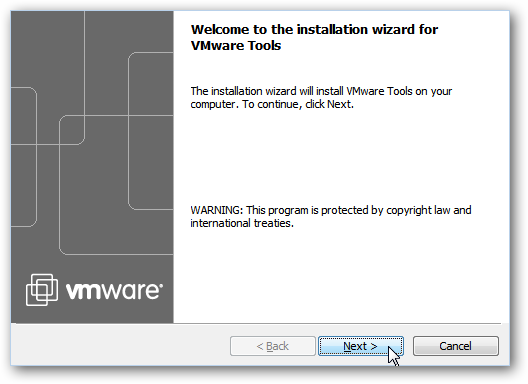 Then run the the install wizard accepting the defaults. 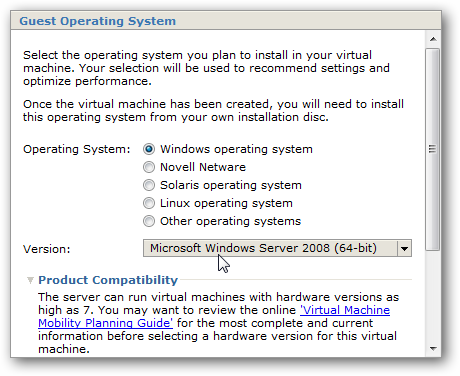 A restart of the VM Server will be required to complete the install process. 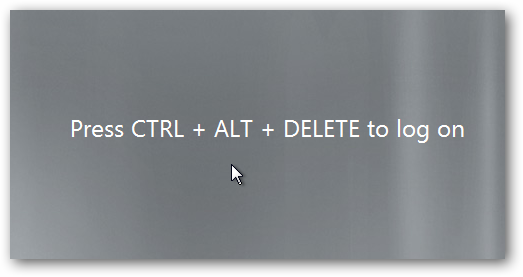 After you restart the VM you’ll see the Ctrl+Alt+Del screen. 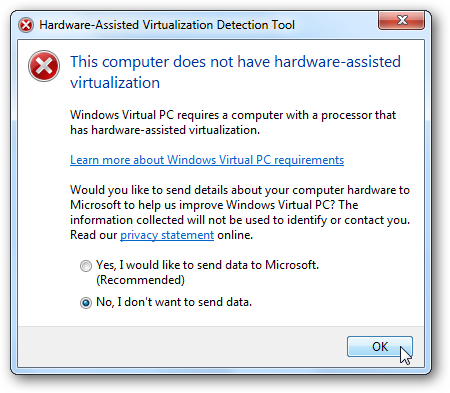 Click on VMware Remote Console \ Troubleshoot \ Send Ctrl+Alt+Del. Then log into your WHS Vail virtual server. If you’re looking for a way to test out the new Windows Home Server “Vail” Beta, using VMware Server is a great way to get it done for free. You will be able to RDP into it just like it was a separate physical machine on your network. To test out connecting machines to it and using new features like Dashboard or Launchpad, you can create a Windows VM, or connect an extra machine on your network. Make sure that machine doesn’t already have WHS Version 1 Connector software installed as you can’t have both installed on a the same machine. If you’re currently running WHS Version 1, you don’t want to replace it with the Vail beta. There are still several quirks that need to be worked out with it first. 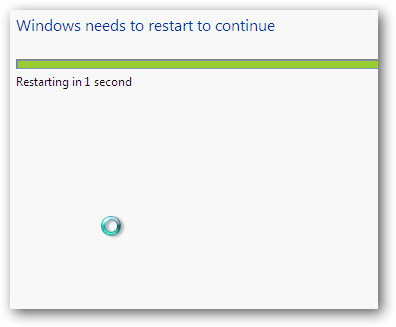 This isn’t the same as the Windows 7 Beta where you could install it on your machine and have little to no problems. At least you’ll be able to explore Vail and see what you can expect when the final version is released.